There have been so many wonderful tributes to Roger Ebert today, I'd like to share a few that especially touched me. 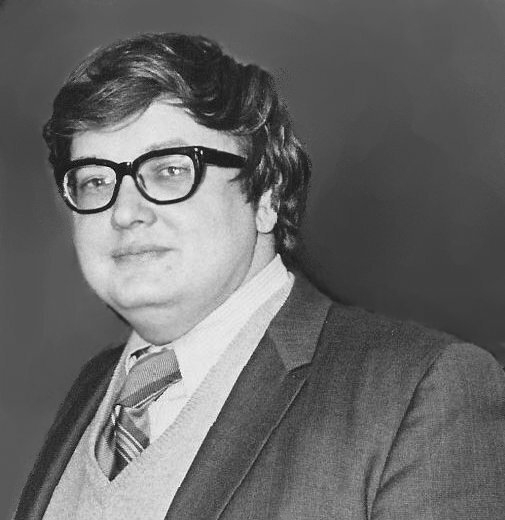 I've always admired the great love affair between Chaz and Roger Ebert. To me, her loss has been the saddest part of the news today. Chaz' statement is a strong testament to the depth of their connection. Like the writer of this essay on NPR, I've never known a world without Ebert. I remember watching him and Siskel on TV as an insomniac 12-year-old, and collecting his books as a teenager. Even though I often disagreed with him, I got to know his style so well, that I could tell whether or not I would like a movie by reading one of his reviews and making adjustments for my own tastes. It was almost more enjoyable to read reviews of the movies Ebert hated. When he became angry about a crappy movie, his voice became much more conversational. It was like he was sitting next to you complaining. "Most people choose movies that provide exactly what they expect, and tell them things they already know … What happens between the time we are eight and the time we are 20 that robs us of our childhood curiosity? What turns movie-lovers into consumers? What does it say about you if you only want to see what everybody else is seeing?" Of course, Ebert never lost that curiosity. I hope that that quality is recognized as a part of his legacy, because while he was famous for his love of the movies, he was great because of the way he could express his love for life.